i'm not sure the craftsmanship quip was necessary. also, this thing has probably turned more miles than any of Penske's racecars. It is truly the most famous roadgoing Cessna in the world! it's still incredible to me how many of these articles believe you live in south carolina. The errors get compounded with each altered retelling. Some say he's a horse that gets ridden by a police man during the day and builds race car planes at night. All we know is that we call him Speedycop. I see what you did there, Jeremy Clarkson. Google translate tried, and failed. I'm guessing it says dumb infidel can't even make plane fly. You have to manually tell Google to translate it from Arabic to English. The idea of flying car or car is a plane is not new but is is a long time and many people tried to do. Today we promised you a unique experience carried out by the police officer Jeff Bloch. What he has done Jeff Bloch was an act of simple and strange at the same time. Jeff has assisted some of his friends to install one of the aircraft on the hull structure of a normal car. 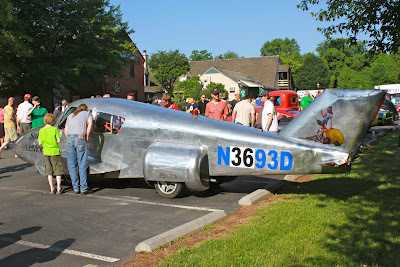 The result was a flying car or plane car, you name it. Label chosen by the policeman for his new machine was Spirit of Lemons is working efficiently. When walks Jeff Bloch بعربته, the street will be the focus of attention of everyone, not credible people to see a car like this, and often Istoagafh people to Istvhmua what is the story of this car, and how it arrived at this figure. often Istoagafh people to Istvhmua what is the story of this car, indeed. I didn't know your nickname was بعربته.